Manager David Spero has joined TBA Entertainment as the company expands its artist management group. Maintaining an office in Cleveland, OH, Spero brings Billy Bob Thornton, Survivor, Sam Moore (Sam & Dave fame) and Simon Kirke of Bad Company. Additionally, he is guiding the solo efforts of Yogi, currently with the Wallflowers, and Kenny Olson, a member of Kid Rock's Twisted Brown Trucker band. Most recently Spero was Vice President of Education and Programming for the Rock and Roll Hall of Fame. While there he served as producer of the weekly MTV series "Live at the Rock and Roll Hall of Fame," which featured such artists as Papa Roach, Avril Lavigne, P.O.D., Alicia Keyes and Linkin Park. 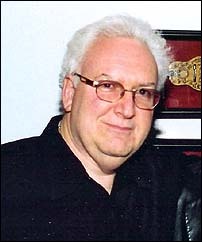 Prior to that Spero operated his own management firm, DSM, Inc., serving as president and representing Joe Walsh and Eric Carmen among others. He has also held positions in radio, helping found Cleveland station WMMS, and in the motion picture industry working with Columbia Pictures for 11 years. "David's experience in the entertainment industry will add a unique perspective to TBA's artist management operations," noted Charlie Brusco, executive vice president. "His understanding of the recording, radio and film industries combined with his management, production and touring knowledge will help maximize the career opportunities of all TBA artists." Spectra Management's Jane Carter and Premier Artists Services' President Eliot Weisman have formed a strategic partnership to oversee management of Aaron Carter in all media. The initial objective of the partnership includes supervising A&R for Carter's upcoming Jive Records album, due this fall. Aaron, 15, will play a key role in writing songs for the recording. In addition, the new management team will be seeking exciting film and television opportunities for Carter. Currently, Aaron is writing and recording both in Hollywood, CA, and the Florida Keys, where he resides. A late summer U.S. concert tour is also in the works. He is also looking forward to starring in his first feature film, "Future Force," executive produced by E3 Entertainment. The project, in which Carter leads the fight to defend the globe from alien invaders, is described as a multi-generational film combining elements from "Armageddon," "Men In Black," "Galaxy Quest," and "The Last Starfighter." "Aaron's captivating stage presence reminds me so much of Sammy Davis, who was undoubtedly one of the best all-around live stage entertainers of the last century." Weisman adds, "Aaron has that all-around star presence that comes along so rarely, and I'm eager to collaborate with Jane Carter on the ever-blossoming talent Aaron Carter brings to the arts." "I'm thrilled to have developed this strategic alliance with Eliot Weisman, whose management skills have afforded him a lifetime of respect from his peers," says Jane Carter. and Hamilton Place, says he's always had one foot in the management door over the years, and is now ready to delve into management fulltime. Wow! 's first clients are Canadian blues singer Rita Chiarelli and boogie-woogie jazz pianist Michael Kaeshammer. "I'm proud to be working with such world-class talent, and look forward to helping bring Rita and Michael to the next level in their careers." In 2000, Kirby co-founded LiveTourArtists, one of Canada's fastest growing booking agencies, with Darcy Gregoire. He told CelebrityAccess he is involved with the booking agency in a management capacity. "I am not booking, just managing. LiveTourArtists boasts four Juno-nominated artists this year, topped by Best Roots category winner, singer/songwriter Lynn Miles.